1- Drawers - for placemats, napkins and place settings. 2- Baskets - for chips, cookies, potatoes or onions. 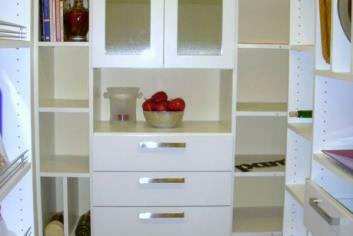 3- Cubbies - for trays, platters, cereal, and cookie sheets. 4- Wine racks - keep some bottles close at hand. 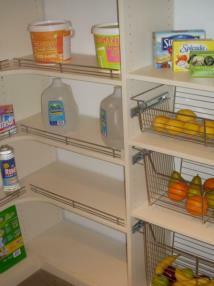 5- Adjustable shelves - for a more user friendly pantry. 6- Spice racks, and extra deep drawers for pots and pans. Everyone agrees - it's nice to be organized and find things fast. Given the alternative, few would elect to continue without an effective pantry making it easy to see and reach everything. 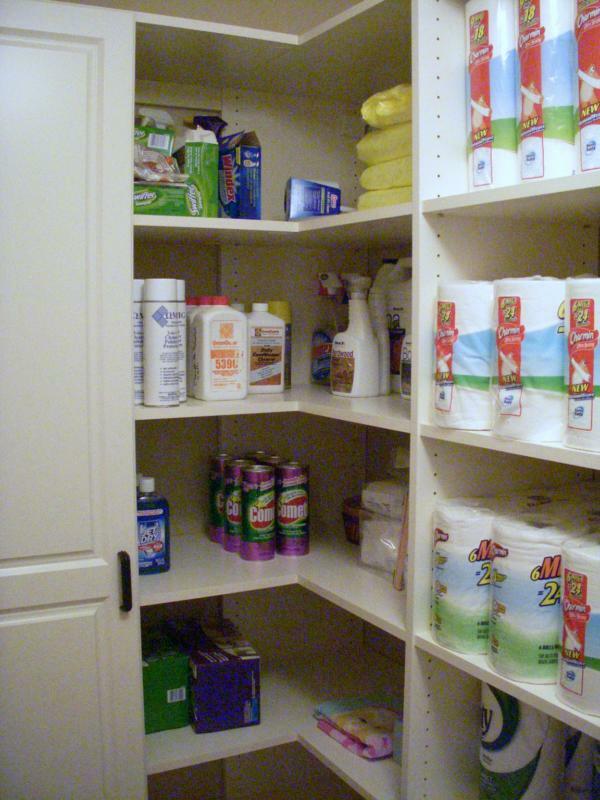 With proper pantry design the shelves adjust up and down, baskets glide in and out on fully extendable slides. 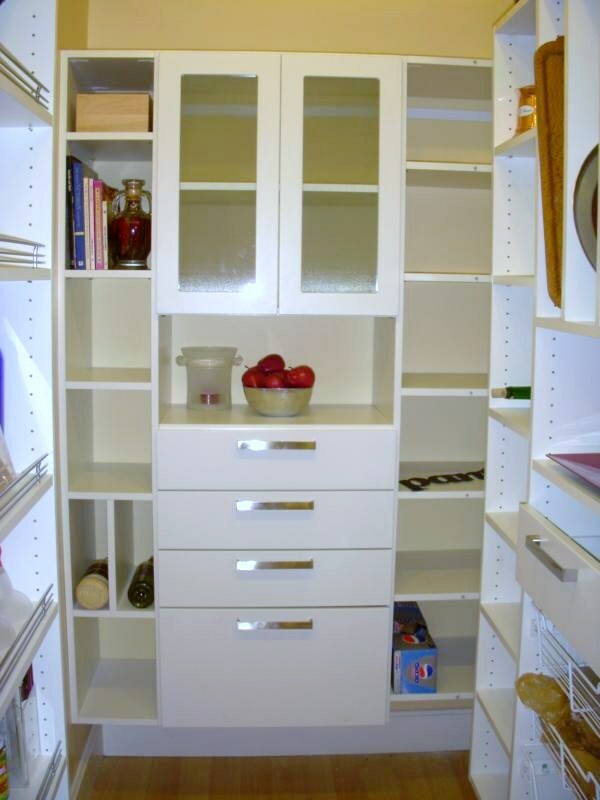 Modern pantry design incorporates a variety of products introduced to the marketplace only within the last decade. 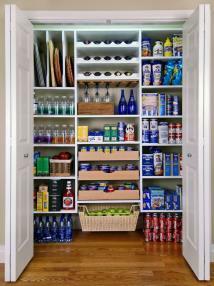 Closet companies often use these same products in other areas of the home and have them readily available for pantry remodeling projects. Substantial enjoyment can be realized with careful planning. 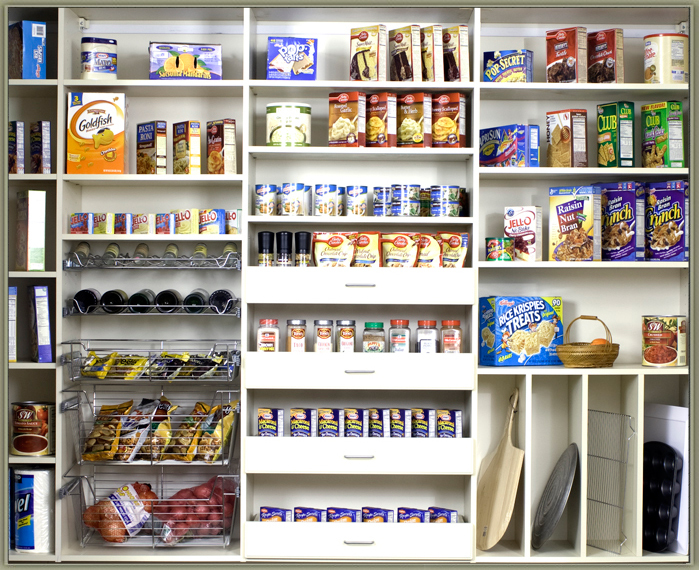 The application of slatwall with a variety of hooks turns even a small bit of pantry wall into usable space. 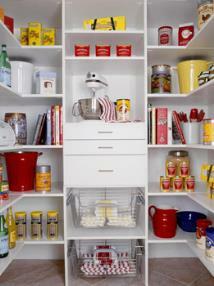 Pantry ideas include baskets and drawers. Tray storage too.